POREČ, 26. travnja, 2017. – Grad Virovitica od danas je i službeno pametan grad. 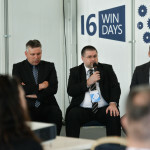 Na WinDays konferenciji u Poreču gradonačelnik Virovitice Ivica Kirin, OpenDataStore COO Siniša Gavrilov i direktorica Sektora za male i srednje tvrtke u Microsoft Hrvatska Renata Šoić predstavili su nove digitalne usluge Grada Virovitice. 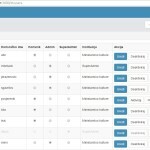 Nove usluge su dio naše OpenDataStore platforme. 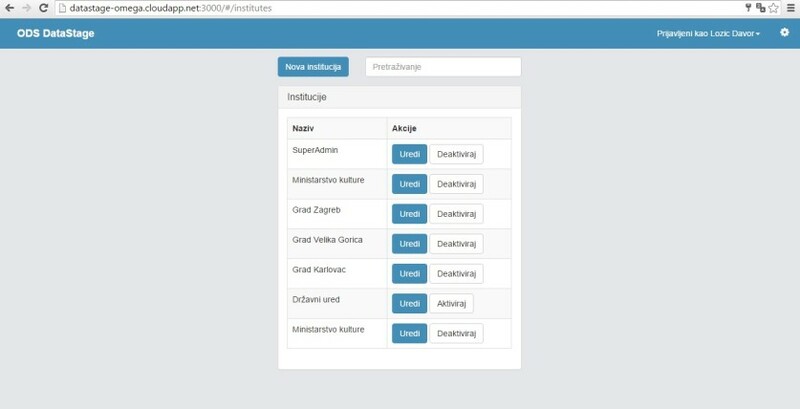 Od danas, građani Virovitice mogu preko ODS MyCity (mobilne ili web aplikacije) prijavljivati komunalne nepravilnosti uočene na području grada, povodom kojih ćee komunalne službe pokrenuti postupak sanacije i obavještavati građane o napretku. 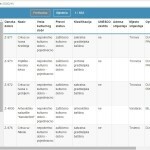 Objavljen je i ODS OpenDataPortal – Portal otvorenih podataka Grada Virovitice te se Virovitica pridružila Zagrebu i Rijeci kao jedinim lokalnim samoupravama koje imaju vlastite portale otvorenih podataka. 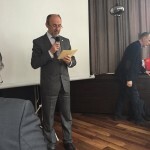 „Otvaranjem javnih podataka Grada u strojno čitljivom obliku, ostvarujemo preduvjete za rast digitalne ekonomije te ovim putem pozivamo sve zainteresirane – građane, obrazovni sektor i poduzetnike – da svojom kreativnošću stvore novu dodanu vrijednost na dobrobit cijele zajednice.“, izjavio je gradonačelnik Ivica Kirin. 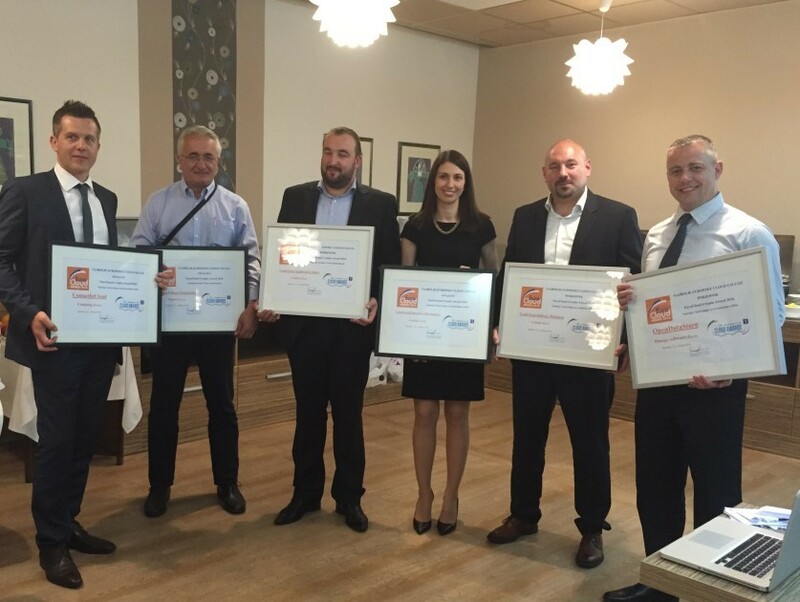 OpenDataStore is best horizontal cloud solution in Croatia in 2016! 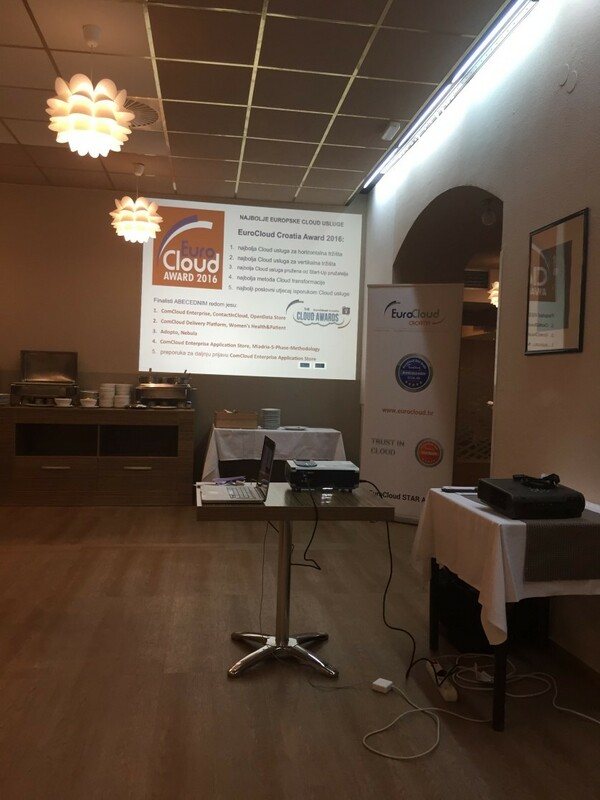 OpenDataStore was finalist in two categories for EuroCloud Croatia 2016 Awards, nominated as both best horizontal and best vertical solution. We convincingly won horizontal solution award as judges determined our solution best matched set criteria (privacy, data security, compliance, CRM, ERM, online storage etc.). 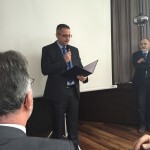 National EuroCloud organizations give awards for best cloud solutions and also serve as qualications for the same competition on European level. Wish us luck! 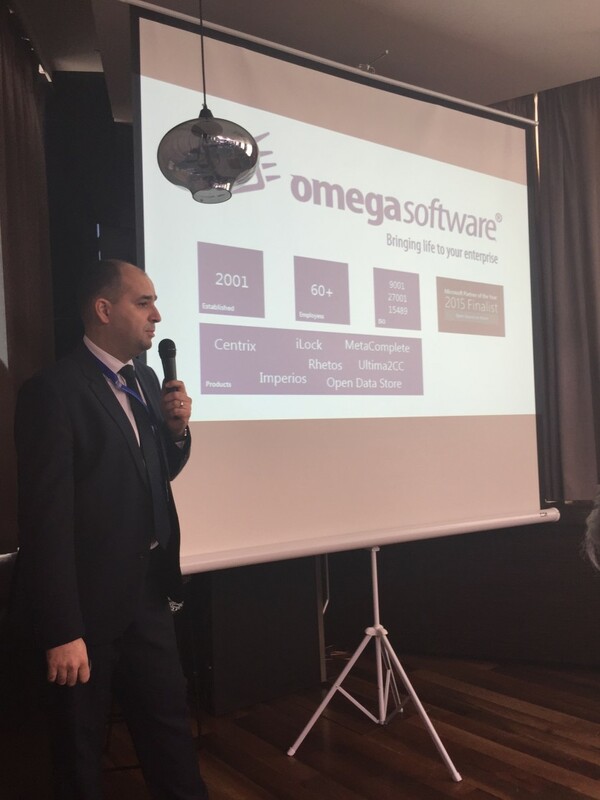 OpenDataStore @Microsoft WinDays 2016 in Poreč! Last week we headed from Zagreb to some warmer parts of Croatia. 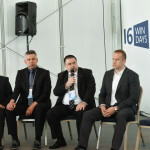 Microsoft organized their annual WinDays conference in Poreč, and kindly invited us as speakers. 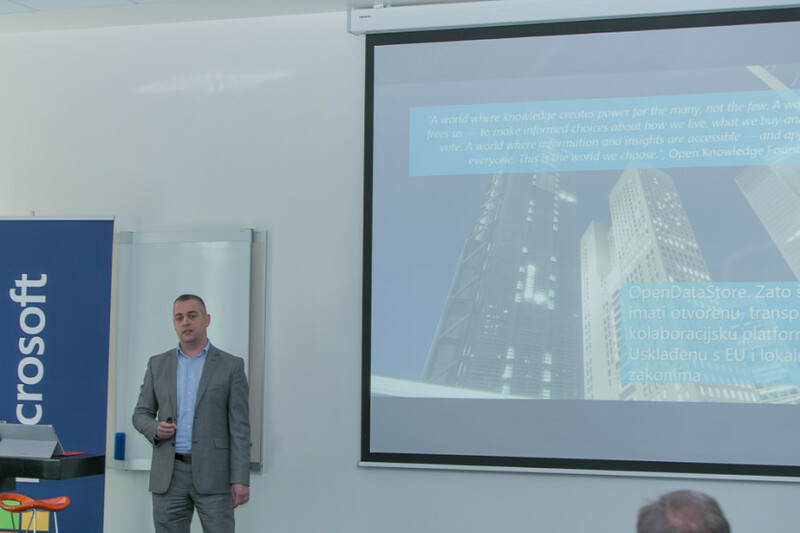 First presentation we participated in was ‘IT as tool for achieving strategic goals in local government management’ where our Business Developer Bojan Hadžisejdić shared his toughts and expertise on this subject. 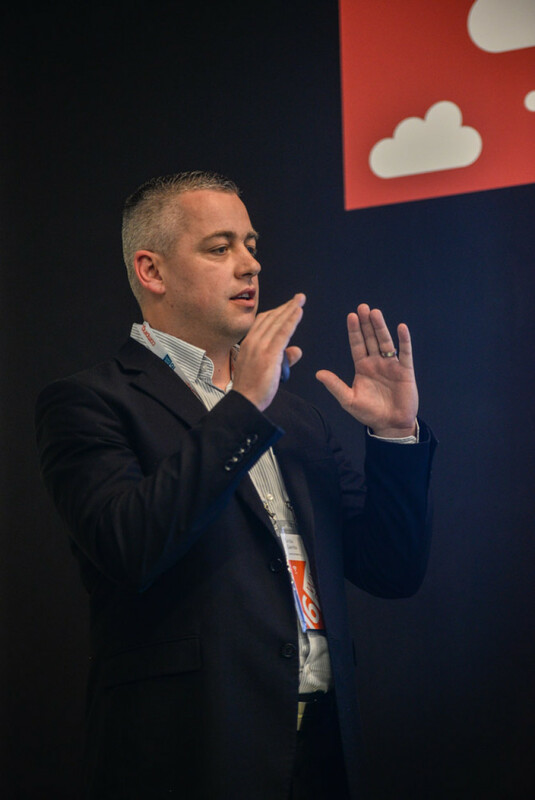 Second panel we spoke at was ‘Case Study: Azure Infrastructure’. 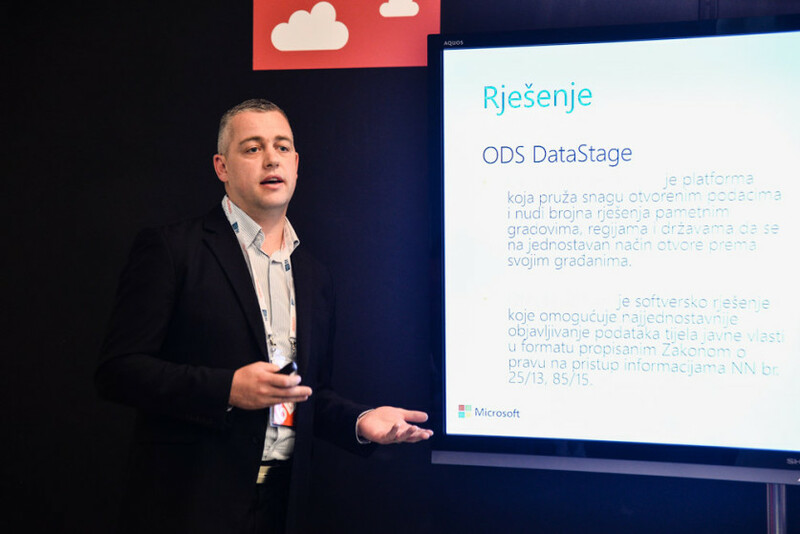 As all of our solutions are based on Microsoft’s Azure cloud service, Siniša Gavrilov took the stage with Jasminka Draženović form Ministry of Culture to present ODS DataStage. Ministry of Culture had a problem with converting their data to ‘machine-readable’ format, and we helped! They were the first public body to comply with EU Directives regarding open data, and we hope many will follow. 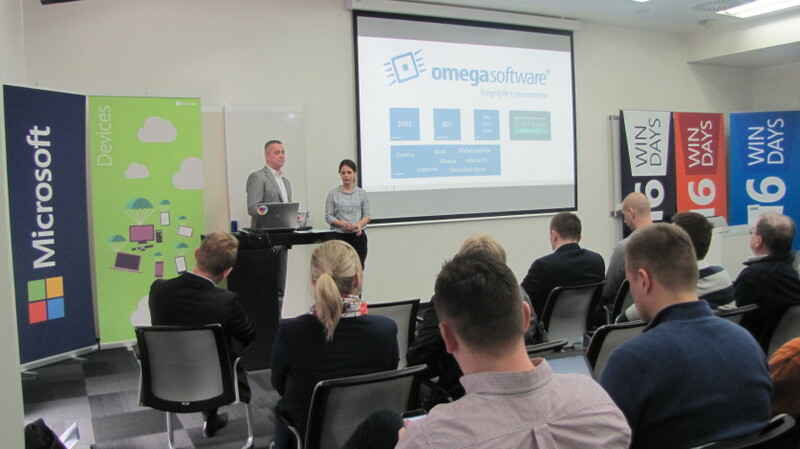 On March 31st we went to Microsoft here in Zagreb to present our new OpenDataStore Basic package. The event was imagined as an opportunity for city representatives to get new ideas on how can IT help them govern their local communities. 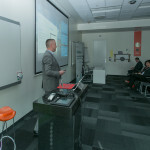 As Microsoft partners, we got the opportunity to tell them all about our creative solutions. 3. ODS OpenDataPortal: the name tells it all: with our help, any city can have their own page for publishing documents and datasets within 10 minutes. 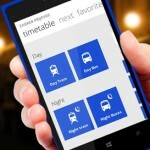 Now you must be thinking, wouldn’t it be cool if every city had these apps? That’s our mission! Thankfully, city representatives at Modern Local Government Day agreed. After many requests and meetings and we look forward to do our part in creating #smartcity. In a past couple of years there has been a lot of improvements in EU legislature regarding Freedom of Information and the Right to Re-use Open Data. 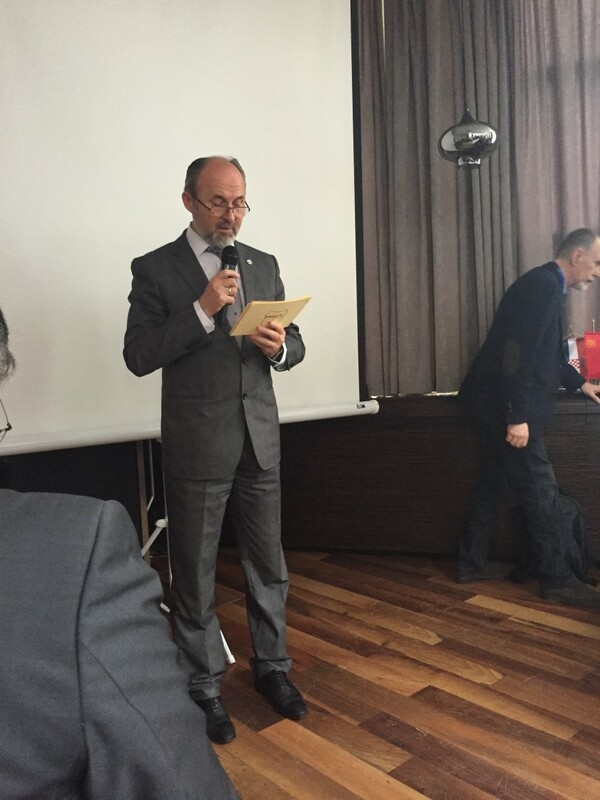 Freedom of Information in Croatia worked like this: as a citizen you needed some information and assumed i.e. that Ministry of Administration has it. After filing an official request, Data Official has 15 days to answer. Very 20th century, right? That’s why European Union pushed for Right to Re-use Open Data: so all this is already available online, thus eliminating the need for interaction with public bodies and waiting for 15 days (if you are lucky to stumble upon a friendly Data Official). For those of you new in this area, open data is all data public bodies (state and local) gather during their work. This of course excludes personal information or country’s military secrets…. You get the point. To give you few examples: a list of addresses and coordinates of all kindergartens in one city, financial data, lists of all public bodies, demographic statistics etc. There is massive amount of this data, and in order for it to be re-usable (meaning: so that entrepreneurs, NGOs and generally citizens can implement said data in their apps) it has to be ‘machine-readable’ (a format that software can read). Sounds complicated? Not really, it just means .pdf, .docx, and pictures are a big no-no, and .csv is very welcome. 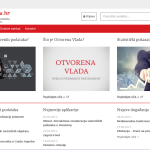 To get back to my point, Data Officials in public bodies (with background in law or management) had no idea what .csv was, let alone converting data form data base sources to ‘machine-readable’ sets and publishing it on Croatia’s new Open Data Portal (data.gov.hr). Especially stunned by this new regulation was Ministry of Culture. They have a lot of cool and useful data and were experiencing a lot of pressure form citizens and NGOs to comply with new EU Directives and respective national laws. Their data was all published online as lists or search apps, but if you are a software and not a human being- quite useless. In a time of panic mixed with excitement for the possibility of being the most transparent Ministry in Croatia, OpenDataStore came to help. In a few weeks time, we had a solution called ODS DataStage. ODS stands for OpenDataStore- our platform created for giving open data true power and alleviating communication with citizens to another level. ODS DataStage is a really simple and intuitive web application that connects with data sources, converts data from various data bases to .csv files and launches them on government’s open data portal. It can be implemented after doing an analysis on what kind of data public body in question has, and carefully separating what cannot be published. After initial setup, Data Officials use it to track recent changes on data sources and update accordingly, add new data or delete if not relevant any more. When using ODS DataStage public bodies have a clear and detailed view of their datasets. 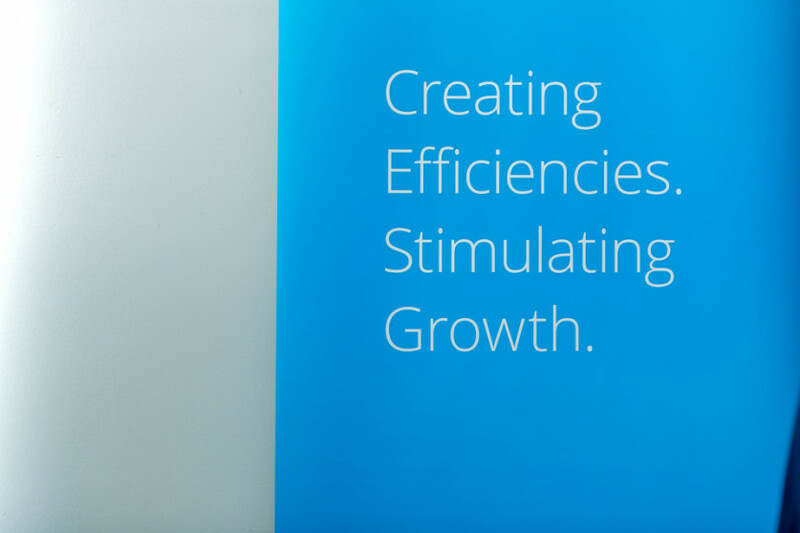 The app itself is located in Microsoft Azure environment which makes it easily scalable and perfect for avoiding additional infrastructure costs. 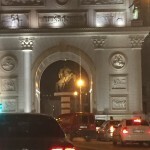 Ministry of Culture were the first to implement this solution, but many other public bodies showed interest and are in process of adopting ODS DataStage. 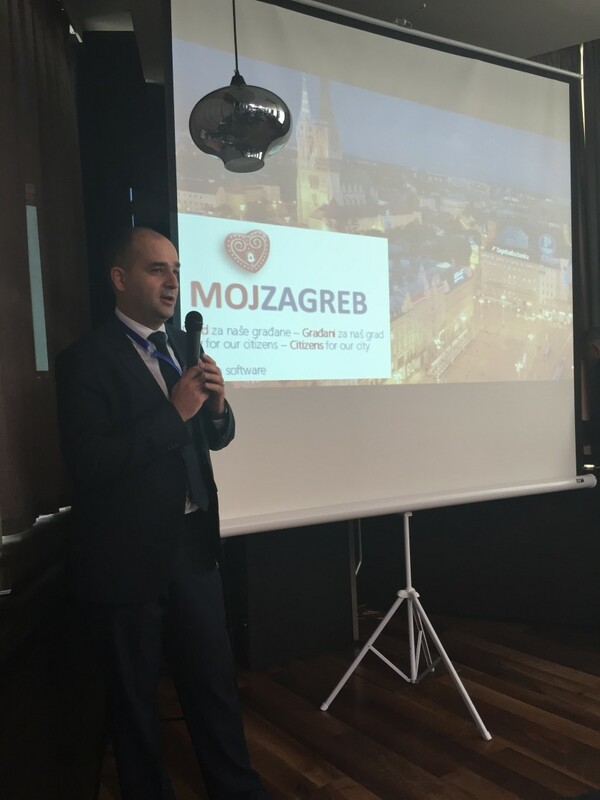 We are thrilled to see public bodies in Croatia wanting to be more transparent and entrepreneurial-friendly. Since we are talking about European legislation, this law is exists in all 28 countries which makes it easy to slightly modify it if needed and offer it to public bodies all over EU. come together in building foundations for open, creative and more productive future. 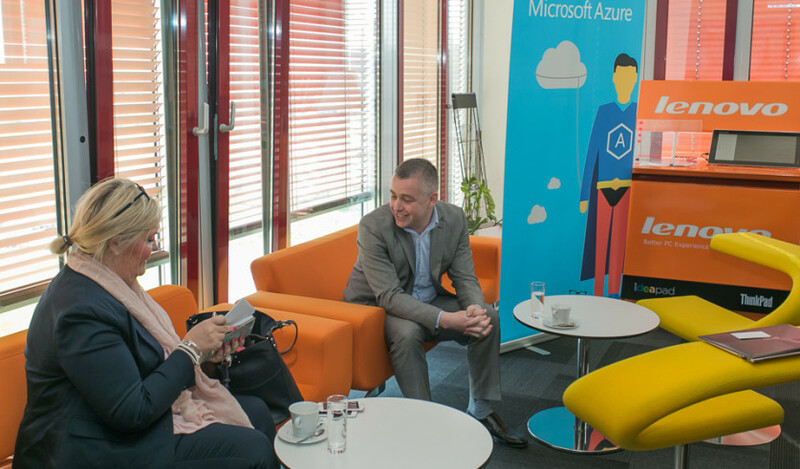 Last Tuesday we stopped by Microsoft offices in Zagreb to present our brand new solution for publishing #opendata. Have you heard about it already? We’re really proud of it. 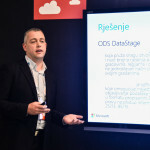 MEGB is a gathering of IT executives of Croatian public bodies that Microsoft organizes four times a year. 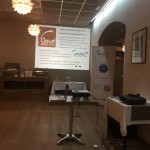 We were invited to talk about ODS Data Stage and let us tell you a secret. Microsoft is also really excited about this solution as it uses their Azure cloud as infrastructure. 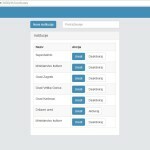 ODS DataStage is a web app that connects internal data sources with government’s open data portal and publishes data in ‘machine-readable’ format. 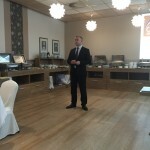 The feedback we got at the buffet following the presentations made us so excited we almost forgot to eat. 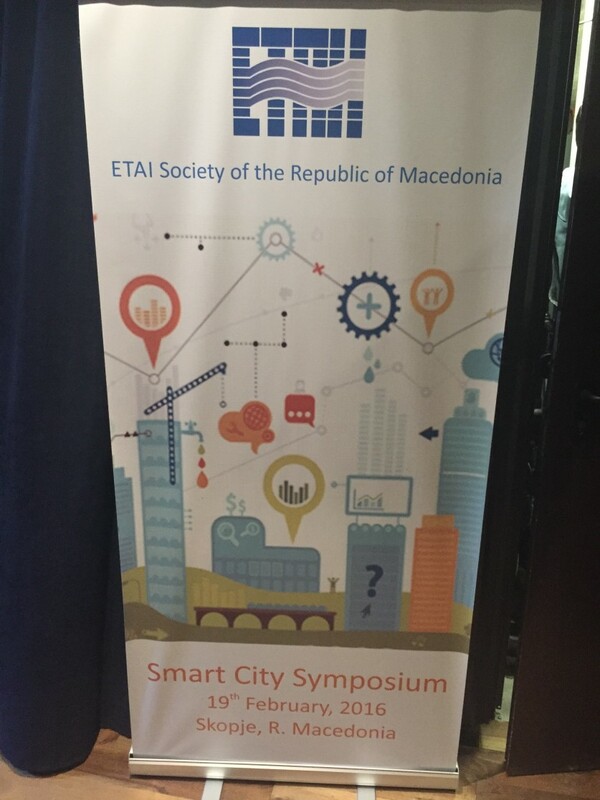 Last weekend we attended Smart City Symposium in Skopje, organized by ETAI-Society for Electronics, Telecommunications, Automation and Informatics. The main goal of the one day Symposium is to exchange ideas, thoughts and opinions with different groups interested in using open data and new technologies to increase quality of life in cities. We went as a part of Zagreb’s economic delegation and our business developer Bojan Hadžisejdić presented the case-study of MyCity Zagreb app: a service that allows citizens to take photos and report irregularities seen anywhere around the city, such as blocked sidewalks, bumpy roads, illegal dumping etc.MojZagreb is a service that is well accepted by both citizens and Zagreb city administration. City officials are very responsive with feedback and since January 2013, more than 23 970 corrections were made. 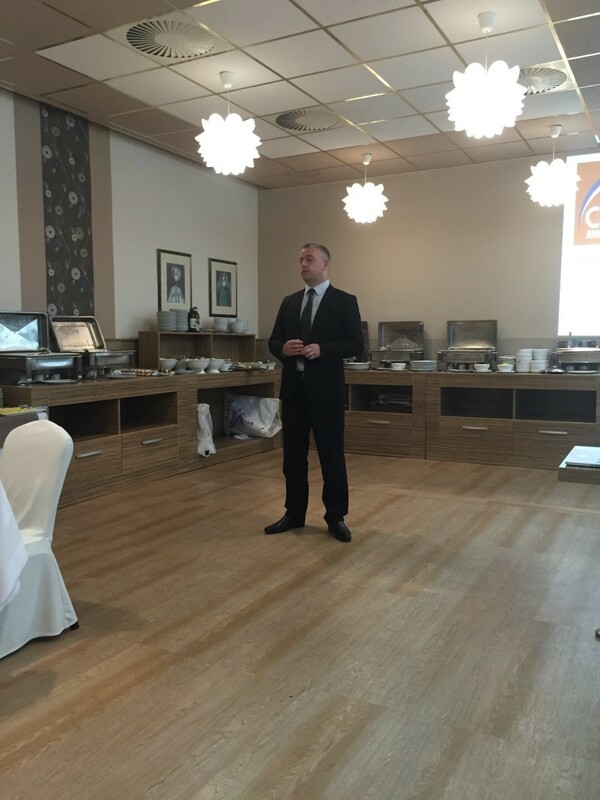 We had a lot of fun sharing our expirience with the region! 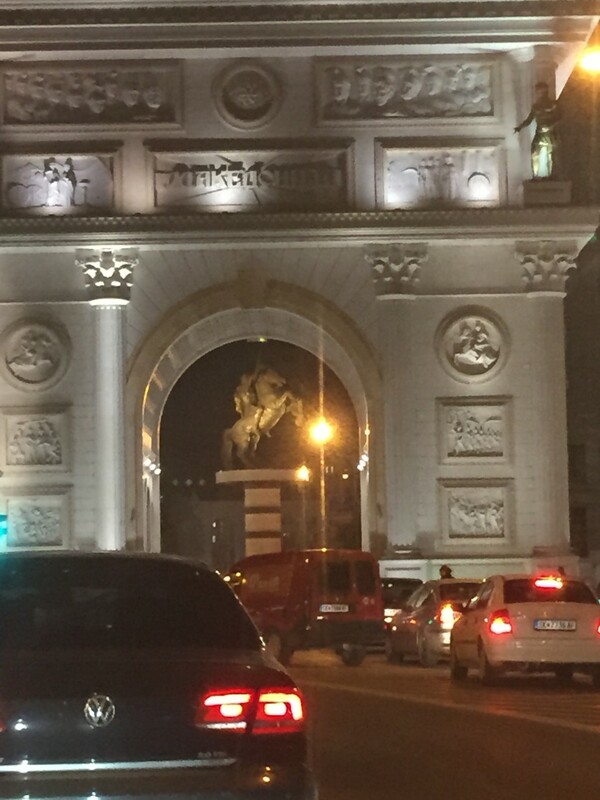 Follow us to find out where are we going next. 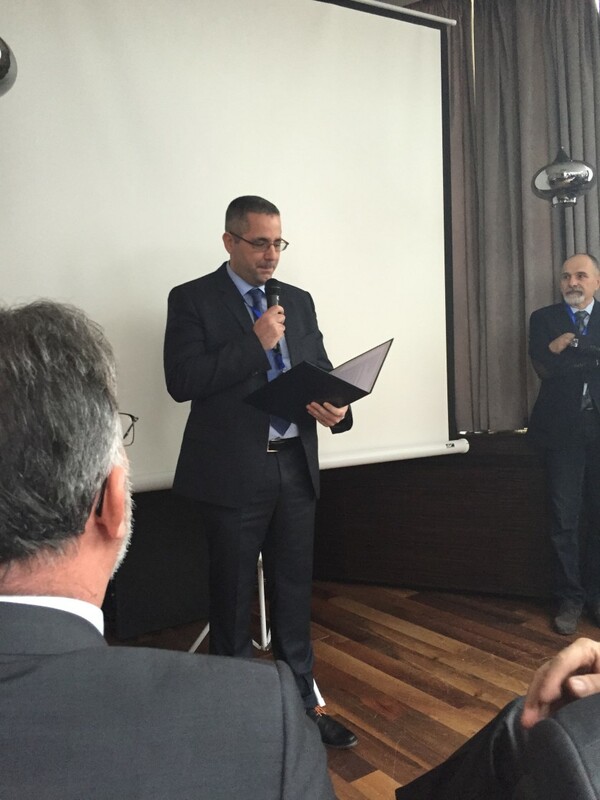 Open Data (OData) is now ISTO/IEC International Standard! Now, we rarely publish a technical articles on this site. We are more about educating and working with customers and partners on how to use Open Data to bring openess and Transparency trough the use of applications to the citizens and organizations around the world. 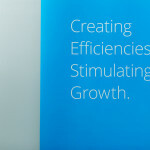 But we believe that this is important News – we are on the verge of standardization of the dana sharing. It is a great way to enable multiple Services, delivered from multiple Partners to work on the data stored somewhere in a repository (like Open Data Store). OData has just been approved as an International Standard by ISO/IEC Joint Technical Committee 1 (see attached). OData (short for Open Data) is an HTTP-based protocol for sharing data. It allows government (as well as enterprise SaaS) services to expose data through a consumer-oriented data model, and for clients to query and navigate that data in an intuitive, RESTful manner. 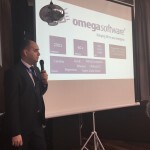 Already an OASIS Standard, ISO Standardization is an important step forward as it makes the OData protocol available to more government agencies requiring ISO standardization. This is an important milestone even as we continue to evolve and use OData. 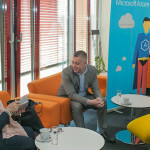 OData is an important interoperation surface for Azure and O365 cloud services, but also for any other interoperability with other Services. 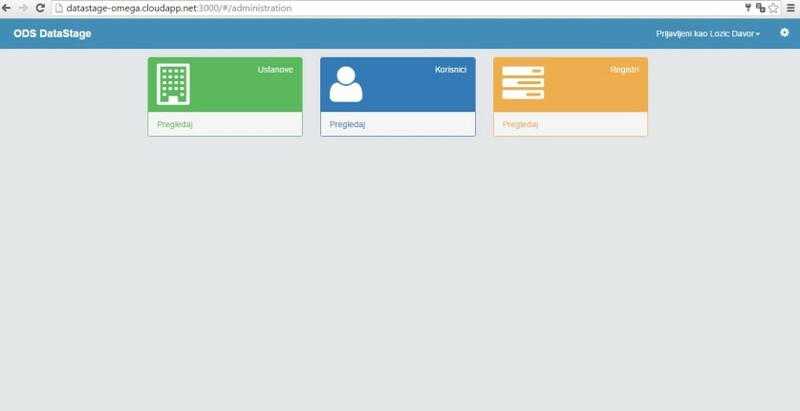 OData is ODBC for the web. OData provides HTTP/REST based common conventions for querying and updating of data sources on the web. International standardization is just one step in a long journey to opening up access to data that exist in silos today and bringing more data to our cloud. We all know how important is to work with the community on Open Data delivery and understanding. It is also important to teach young people and help them use the open data to build something for the community and citizens – some apps that deliver additional services to all of us. Applications are the key for open data delivery: if we really want to see the benefits of open data, we need apps. To support that, we are proudly sponsoring and partnering for Open Data Youth camp in Croatia. Open Data Youth Camp is a five day event consisting of workshops, lectures and discussions and focusing on use and reuse of public sector information. 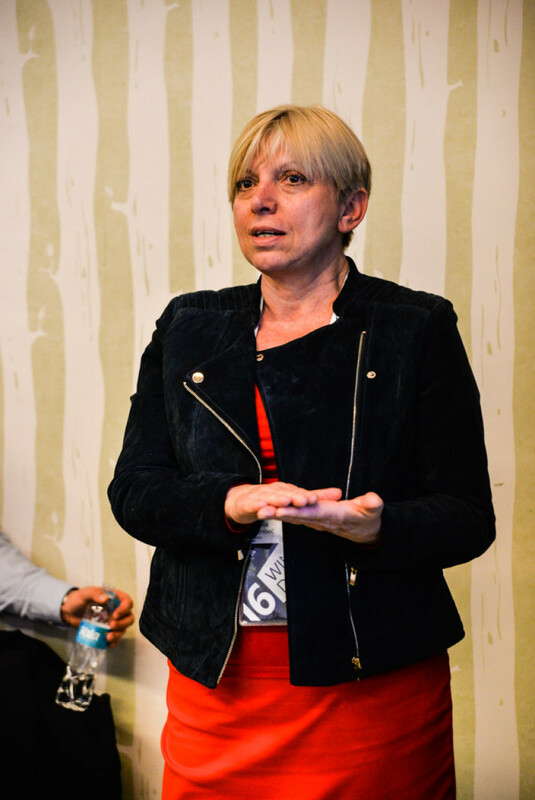 The Camp is organized by the Council for the Open Government Partnership (OGP) in Croatia. The Open Data Youth Camp will take place from 29th of August to 2nd of September 2015 in Rovinj. The goal of the camp is to provide a space for young active citizens to explore the potential of open data, to learn and discuss open government values and to become familiarized with the theory and the practices of the right to access information. 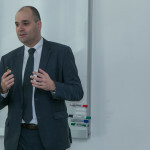 The potentials of the use and reuse of public sector information will be explored through examples of the similar activities carried out in France, United Kingdom, and the United States as well as through examining the progress Croatia made by launching the Open Data Portal. 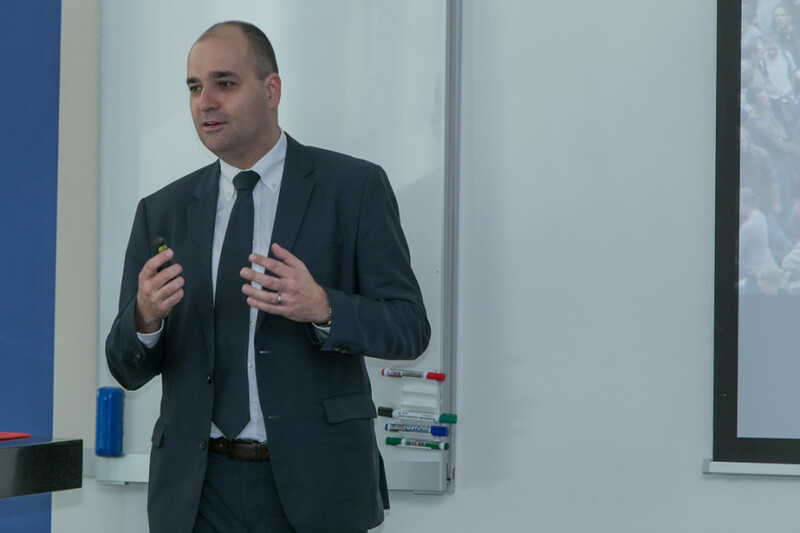 Experts from Croatia and other countries will come together in creating a four day program of lectures and workshops in order to assist the participants in finding new solutions for commercial use of data as well as for using and reusing data for the benefit of the local community. Open Data Store discussing Smart Cities @ Open Government Partnership, Mexico City! One of great things is that we got the opportunity to nominate our theme for a session there, so here is in a nutshell our proposition for a panel. Open Data today is one of the cornerstones of true Open Government. Today, Open Data initiative is mostly driven at national or federal level, and we are yet to see a bigger and more significant adoption at regional or city level. We strongly believe that critical part of stronger usage of open data at city level is missing a quality platform that enables scalable application development and then open application marketplace where cities can sjare not only data but also an applications that are sharing the common data model. Open Government is not only about Federal or National Governments – we see that there is major gap in transparency, collaboration and participation, but also in process of opening a data available that is happening at the local or city level. By 2050, 70% of people on the planet will live in urban areas. Building cities to support so many people has led to the development of smart cities. To fully leverage the potential of data and to have an end user end to end scenarios that solve citizens problems, we need to add strong focus on open and smart cities that need to take opening the data and processes at the new level. Attendees of the summit will receive latest on smart city development, how and why is that connected to an Open Government Platforms, and what we are doing worldwide to better include smart cities into the efforts that are delivered through the Open Data umbrella. 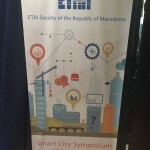 We will discuss current state of affairs with the currently leading experts on that domain, include some external communication that is coming from orgs that are working with us as a partners but also develop and communicate through the 360 network of Open Data Smart Cities initiative using the collaboration tool that will deliver additional value until the next conference. Also, we will discuss, define and communicate proposal on what should be done next, kind of manifesto on Data Driven Smart Cities that should serve as a guide line to a smart cities effort that want to base their development on data driven models. WHAT IS THE FORMAT OF OUR SESSION? As for conference itself, we are proposing a panel discussion with a intro presentation on the subject, all around about 60 minutes or the presentation and discussion. We will keep 20 minutes additionally for a Q&A coming from participants, but we should be open to any burning question that will pop up from the audience during the panel. We will moderate the whole panel, and we will keep it dynamic and active. At the beginning, we will use 10 minutes to present the latest findings on data driven smart cities and some feedback that we got working on that initiative so far. During the panel we will also use forms of technology to ask participants specific questions (data will be collected using app on smartphones) and allow participants to tweet on tweet wall if this is not already supported by the OGP conference itself). Also, before the conference, if accepted, we will communicate the session and panel through the various social channels, and ask a preliminary questions and gather a feedback from various stakeholders. 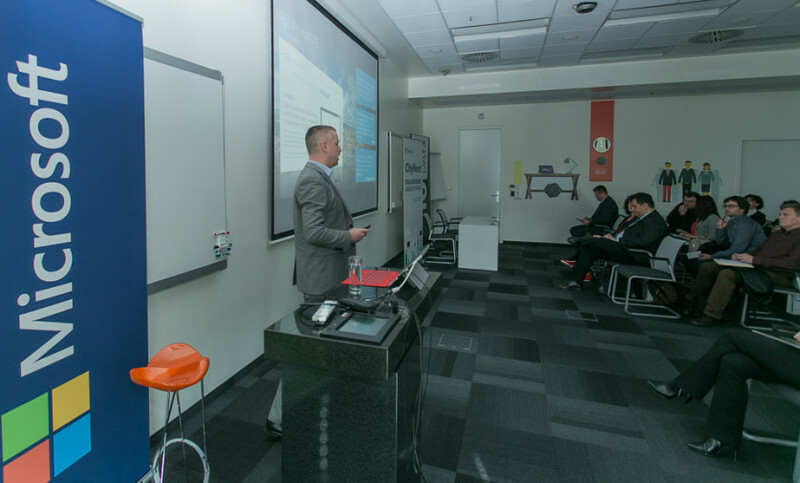 Those channels will also serve as a way to discuss specific topics that will be addressed on the panel, and steer the panel into the expected direction. Also, after the conference we will use established channels to continue the conversation and to feedback the info to the subscribers, especially on the additional work on Data Driven Smart Cities Manifesto. This is preliminary group of experts, and will include a moderator that will keep this discussion flowing and active. Also, this is by no means final group of participants but if expanded significantly that will require more session time than proposed. WHAT ARE THE KEY TAKEWAYS, WHAT IS THE FOLLOW UP? 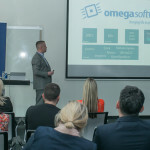 Most of the work developed and open platforms availability is published at the project site that can be found on www.odatastore.com web site, with associated communication channels. This is currently working as a startup, developing a wider data driven city as a platform solution that can be used without any geo or political limits. We are developing not only platform, but there is published Framework / Library that helps smart cities adopt a platform, or gives a technical hands on to a city partners which are developing end user solutions. 2. 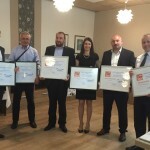 June 2016 OpenDataStore is best horizontal cloud solution in Croatia in 2016! 5. 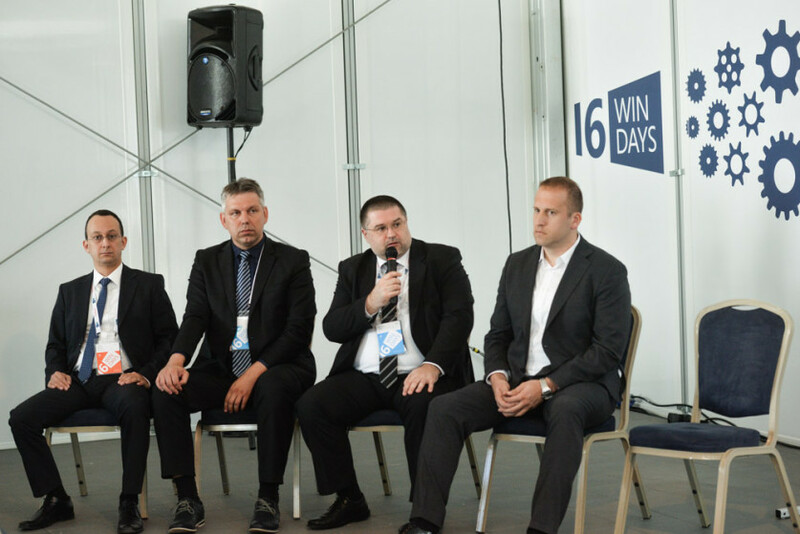 May 2016 OpenDataStore @Microsoft WinDays 2016 in Poreč! 30. 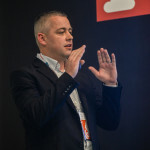 March 2015 Views: 9064 Big and Open Data in Europe: A growth engine or a missed opportunity? 5. 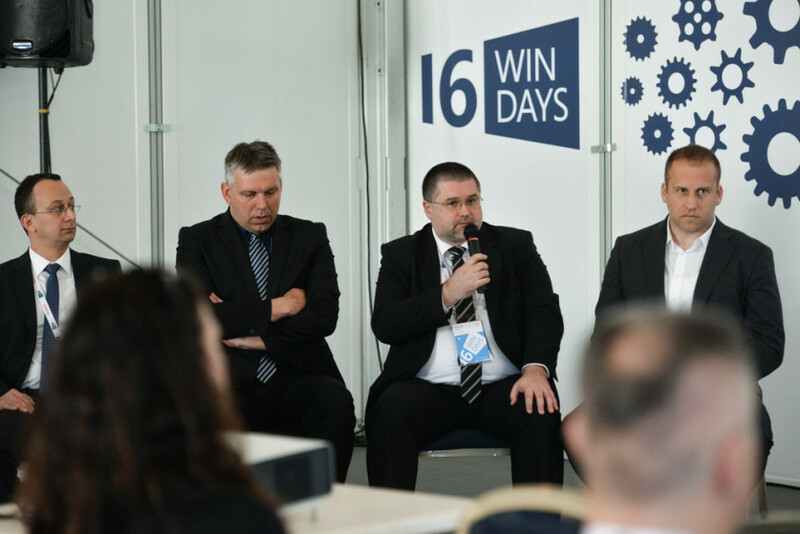 May 2016 Views: 3621 OpenDataStore @Microsoft WinDays 2016 in Poreč!